Dogs and cats are likely to become infected with parasites at some point in their lives. If left undetected and untreated, they will affect a pet’s well-being – from simply being irritating to causing a variety of life-threatening conditions. Some parasites can even infect and transmit disease to humans. Parasites don’t discriminate; both indoor and outdoor pets are at risk. When it comes to parasitic illness, it’s always better to prevent than to treat. 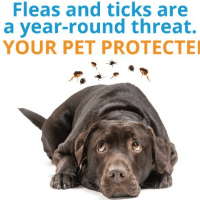 That’s why Beaver Lake Animal Hospital recommends annual testing for intestinal parasites as well as heartworm and tick-borne diseases.